Daily: $60 on Sunday through Thursday and $75 on Fridays and Saturdays (1 or 2 guests). Part of our facility is on the Rio Grande. We have an outdoor courtyard and deck, and restrooms, and showers. 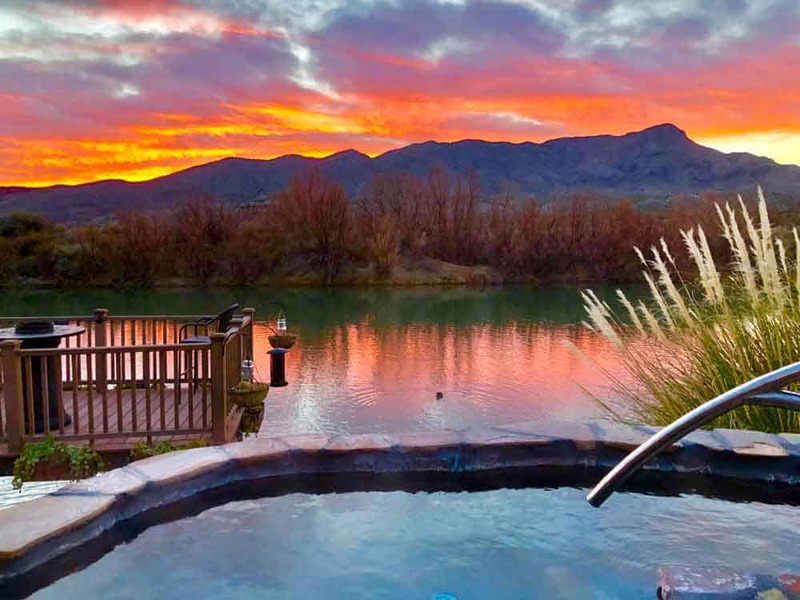 We have private and communal outdoor pools for mineral springs enthusiasts. Pets must be leashed. No children under the age of 12. Directions: From I-25 take exit 79 (Truth or Consequences); follow Date 1.5 miles south to Third Street stop light; turn left (east) at light then take your first right (onto Cedar). Stay on Cedar until it curves to the right and becomes Austin. You’ll see the river and our park check-in office on your left. The park is across the street.